Cooper N (2005) Early warning scores for emergency admissions. Qual Prim Care 13: 9-12. FRIPH G (2005) Quality and outcome framework in Carmarthenshire, south-west Wales. Quality in Primary Care 13: 97-99. Cantab JP (2005) Professional development in R&D: Defining and resourcing a scheme to support healthcare professionals in learning how to use evidence and do research. Quality in Primary Care 13: 91-95. Al-Windi A (2005) Predictors of satisfaction with health care: A primary healthcare-based study. 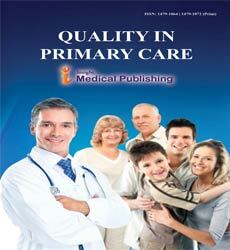 Quality in Primary Care 13. Stevenson K (2005) Never mind the quality feel the width... does the Government really understand the patientâs concept of quality in health care?. Quality in Primary Care 13: 63-65.